The finest sandwich I have ever eaten. This is a place to speak on sandwiches. @YC cafe is a coffee house, one of those numbers that’s tucked into the corner of a block of new condos. It really seems like espresso and pastries are the focus, but there’s a half dozen or so sandwiches on rge menu. Breakfast sandwiches seem to be the specialty, but I wasn’t really in rge mood for eggs. So, figuring I might be degrees of separation from the specialties, I wasn’t really sure what to expect. I ordered the tuna melt, the proprieter asked me if I wanted cucumber and onion included, and I settled in. 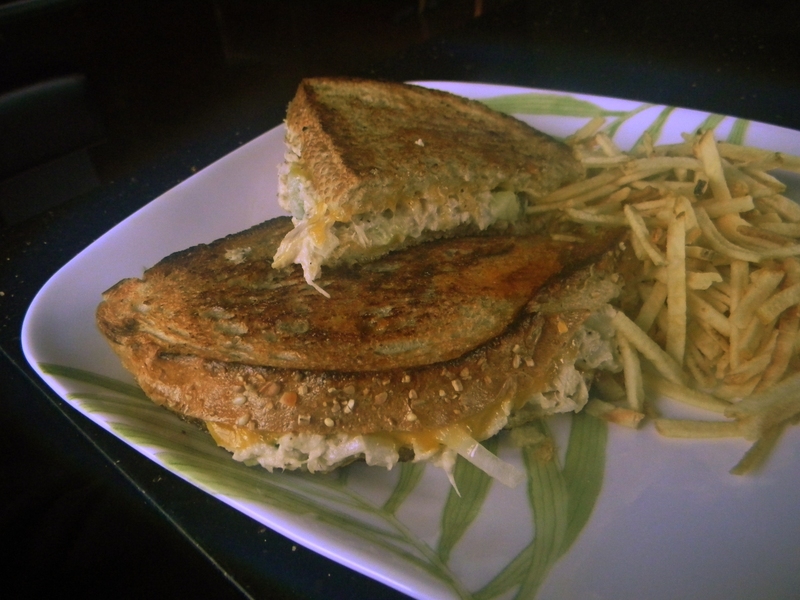 Some time ago I wondered just how much impact context had on sandwich quality, and that’s a question that comes up again with this tuna melt. Contextually, it had two things going for it. The first was rgw aforementioned uncertainty, and the second was that it was a cold, rainy afternoon. A grilled sandwich on a day like that is pretty much the definition of “hit the spot,” isn’t it? So with those two things going for it, I was pretty darn pleased with this sandwich. Canned tuna, some cheddar cheese but nothing special, a bit of cucumber and onion, @YC seemed to have made a pretty good something out of not much. It was warm, cheesy, buttery, crunchy goodness, and I don’t think I could have asked for much more. This entry was posted in Sandwich Reviews and tagged Fish, Reviews by Pete, San Jose, Sandwiches I Have Eaten, Tuna by Pete. Bookmark the permalink.